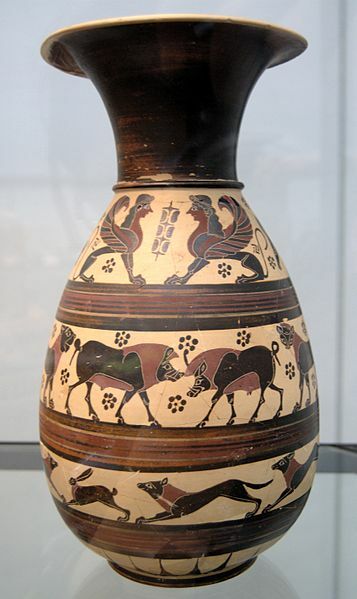 Black Figure This vase is olpe, geometric, and polychrome. This is looks like a food chain narrative. The dog is chasing the rabbit and the lion is chasing the boar, on top is the gods. There is less detail and clear division between the groupings. There is a linear organization and no frontal view. The background is the colour of the clay and the figures are dyed black and red.